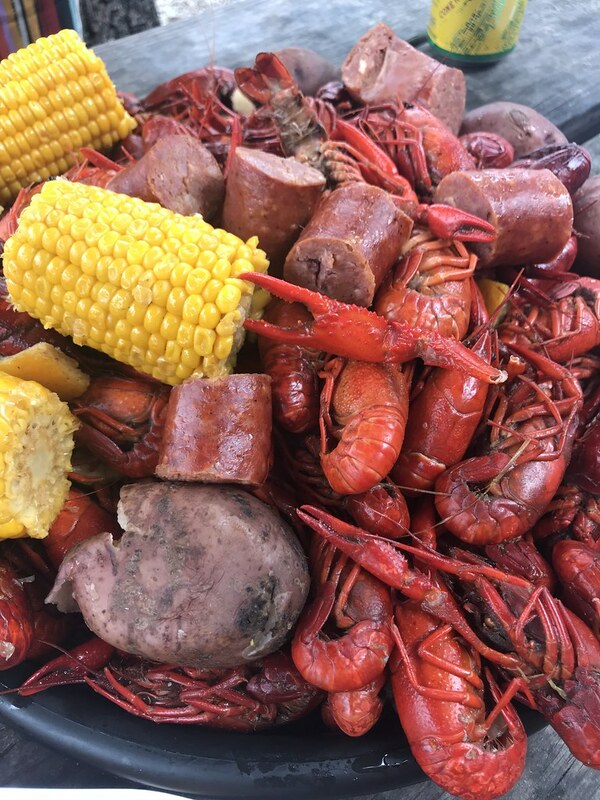 I ended up being a Spring Breaker this year—taking advantage of a week off from my grad school course to vacation in New Orleans for a long weekend. 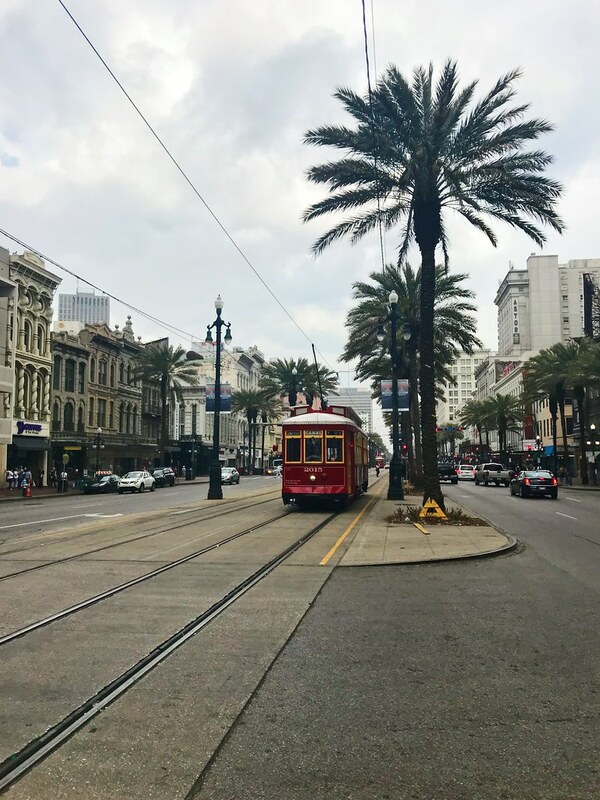 Between Spring Break and St. Paddy's Day, it ended up being quite the festive time in The Big Easy, although from what I understand, the city's residents find something to celebrate every weekend. While there were parades, music, and cemeteries to check out, you know I was scouting out the food options. 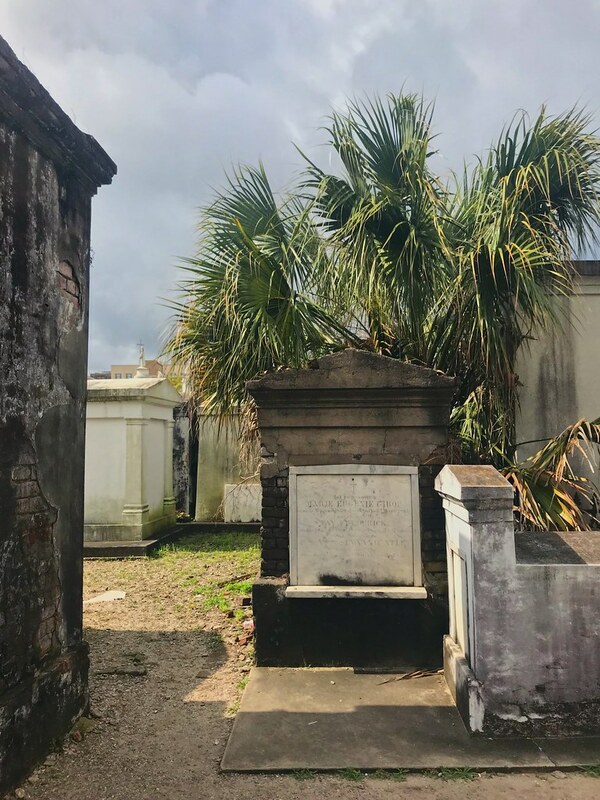 And despite only being in town for three full days, we managed to enjoy a little bit of all the NOLA classics, from the old school institutions to James Beard foodie spots. 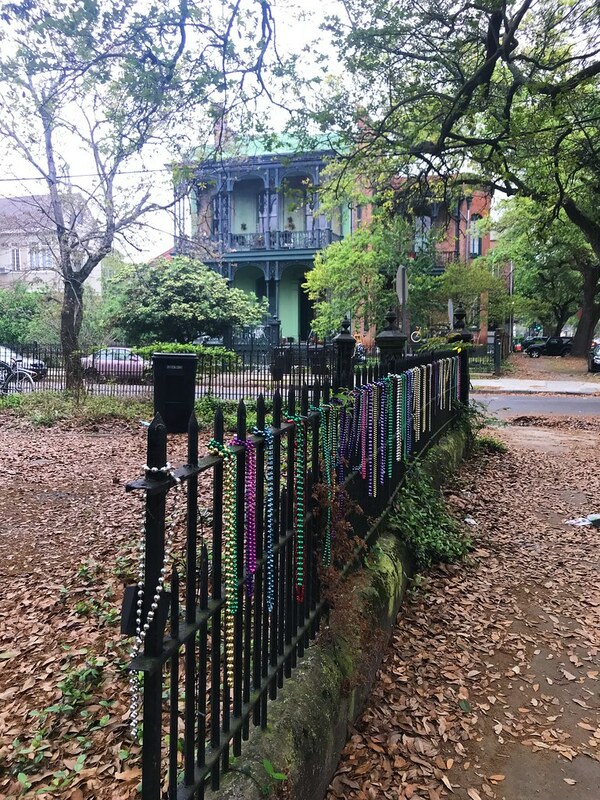 We stayed in an Airbnb in the Central City neighborhood, a few blocks north of St. Charles Street. I'd recommend the area, as it was centrally located and close to the streetcar line that runs the length of St. Charles. We loved our shotgun house with its porches and architectural character. 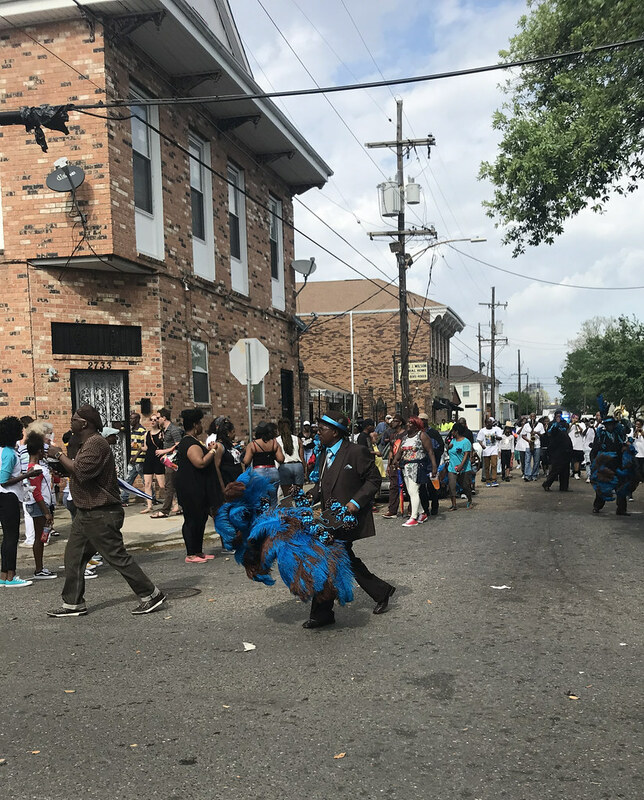 Plus, I love staying in a neighborhood, especially one that regularly hosts a second line. 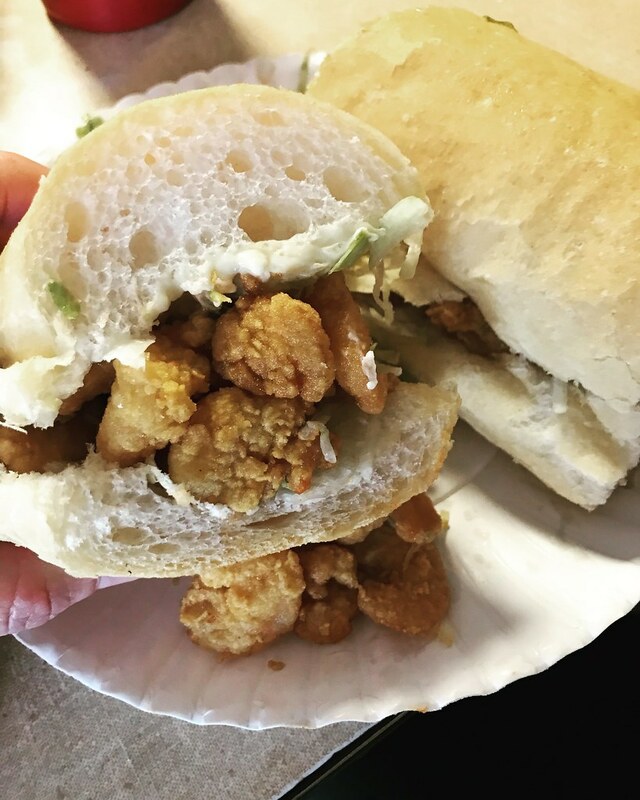 From snowballs and beignets to muffalettas and po'boys, we ate most of the classic New Orleans foods. Hansen's makes the best snowballs and I was delighted to visit another area that celebrates this unique style of shaved iced. 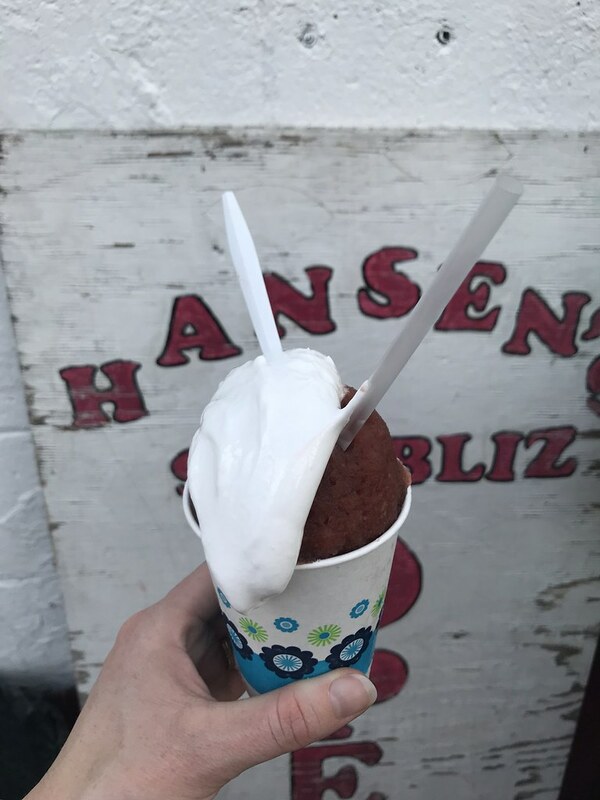 Baltimore and New Orleans are the two places in the country that serve snowballs, and despite not having my favorite flavor egg custard, Hansen's made me happy. 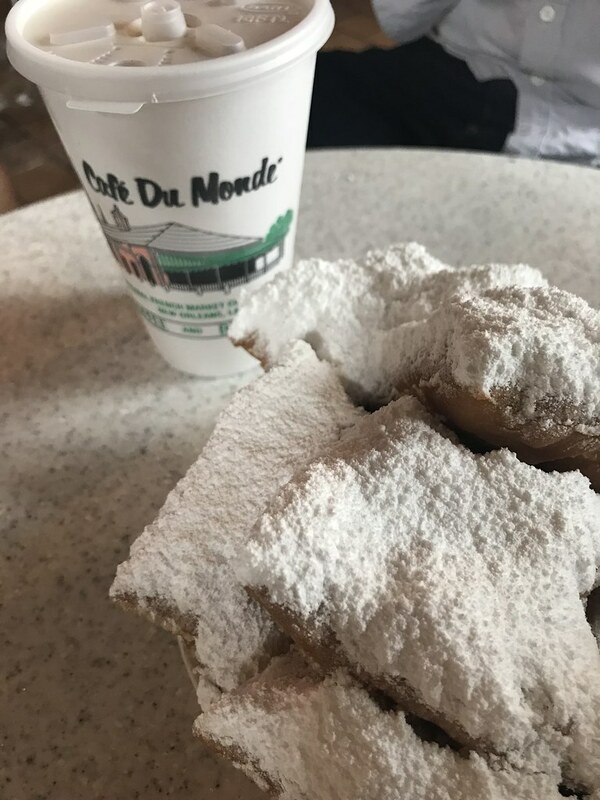 We sat outside under an old tree and dug into big platters of crawfish, sausage, potatoes, and corn at Bevi Seafood Co. And of course we had delicious, powdered sugar-dusted beignets at Cafe Du Monde (and maaaaybe definitely inadvertently cut the long line for a table). We had lunch at Cochon Butcher, which was perfect for our group with a menu that pleased everyone, local beer on tap, and lots of Star Wars ephemera to entertain my nephew. 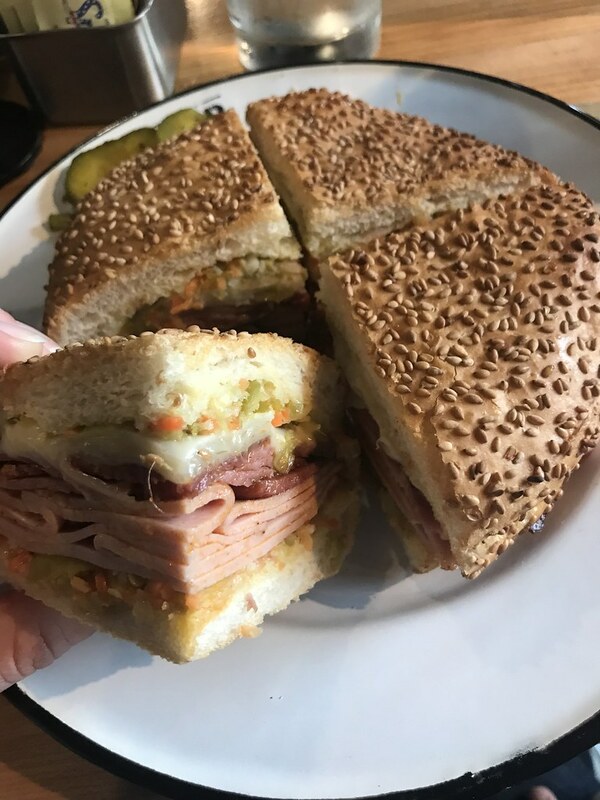 The muffaletta was killer, even though I was too full from beignets to eat more than a quarter of it. Po'boys at Domilise's were recommended as the best, so we stopped in before hitting up Hansen's nearby. Protip: if it's too busy inside with a wait to order, snag a number and wait outside for yours to be called. I went with fried shrimp, my faves. 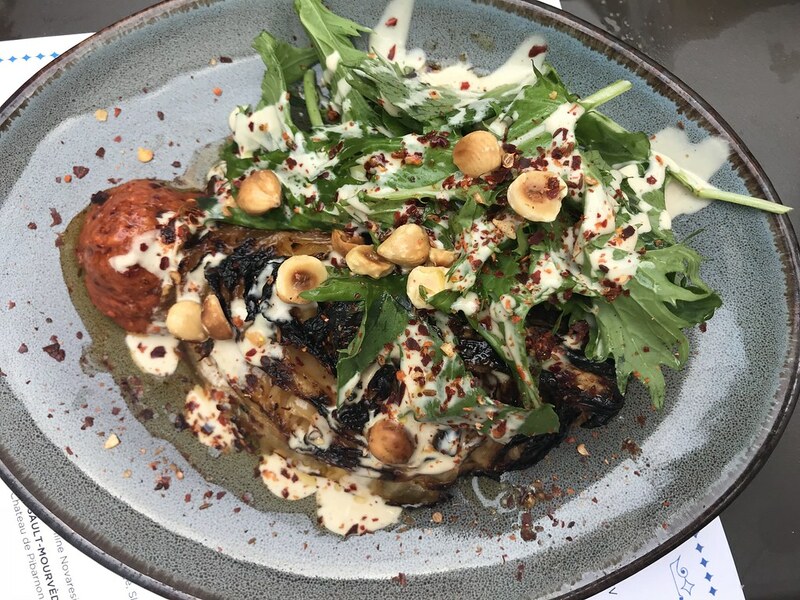 Our one foodie dinner was at Shaya, modern Israeli cuisine. We went early to snag a seat before the dinner reservations filled up the restaurant and scored a table on the patio (more like a courtyard). 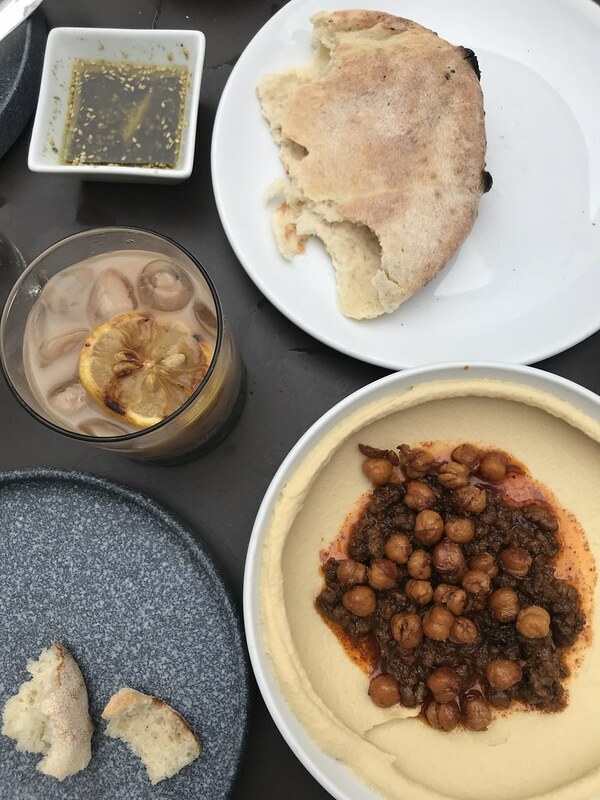 My favorite dish was the hummus with lamb ragu and crispy chickpeas. It might not look like much, but between the soft, warm pillowy pita and the crispy chickpeas, it was outstanding. 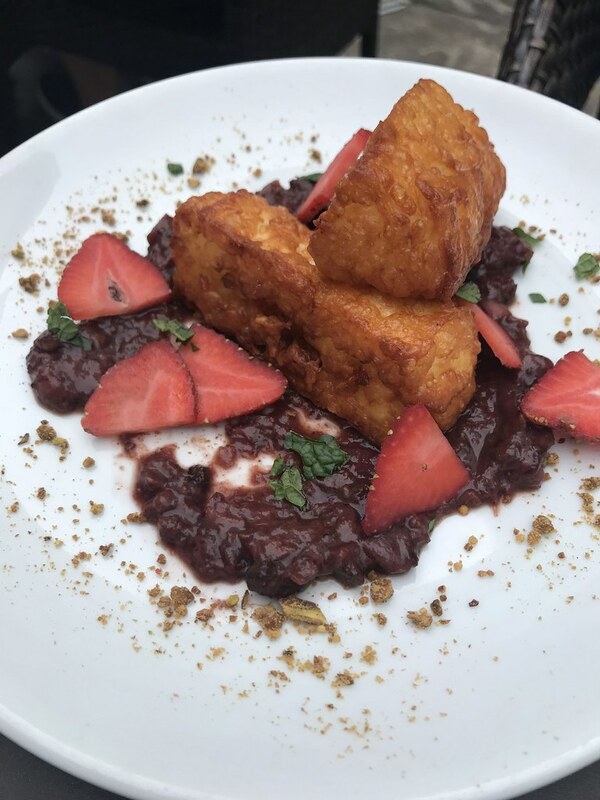 The fried halloumi over strawberries (it was strawberry season) and roasted cabbage with harissa and tahini were both amazing too. I wish I had the ability to eat through the menu, as there were so many other tempting things on the menu. 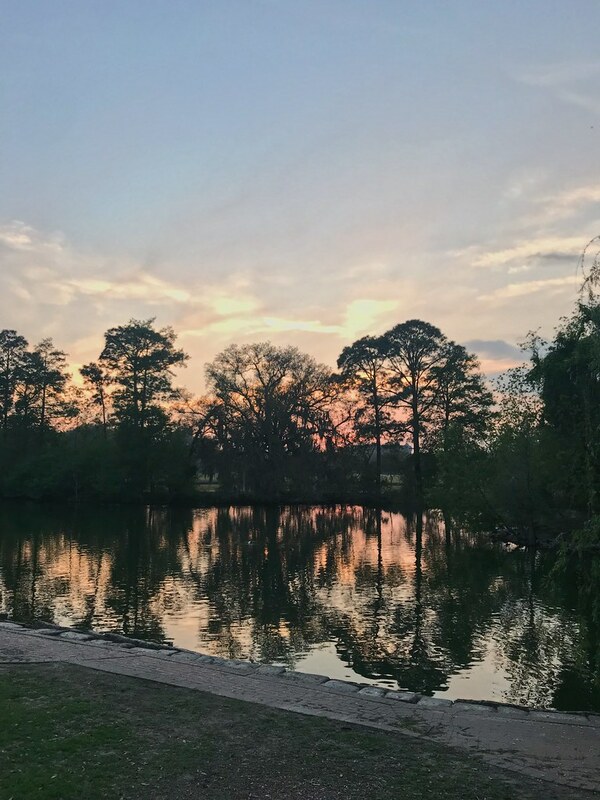 After dinner, we walked through Audubon Park as the sun set. Then we were off to hear live music on Frenchman Street. A wonderful last evening in New Orleans, and I already can't wait to go back.